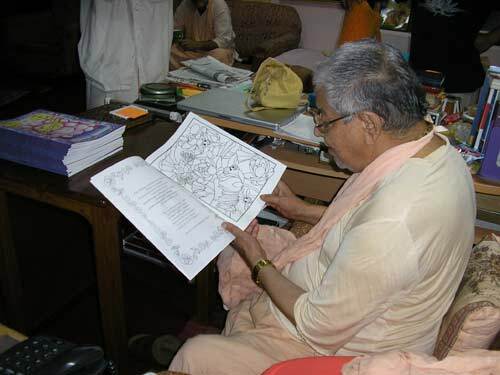 Srila Gurudev, His Divine Grace Srila Bhakti Sundar Govinda Dev-Goswami Maharaj, is very pleased to receive this 'Land of Nectar' children's colouring book on the auspicious occasion of Sri Nrsimha Chaturdasi. 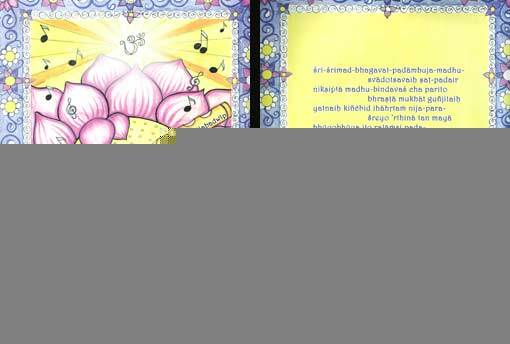 The book is hand illustrated and compiled by Rasa Mayi Pandita Devi Dasi, with the assistance of other devotees. 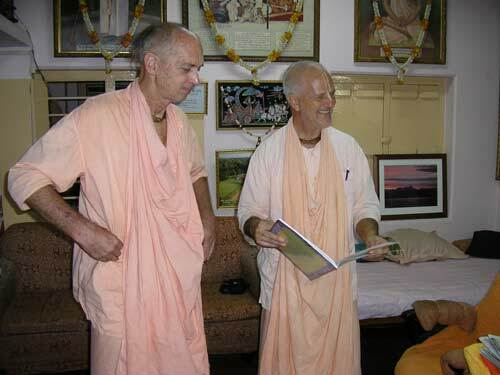 This is an humble offering to the lotus hands of our beloved Srila Gurudev, Srila Bhakti Sundar Govinda Dev-Goswami Maharaj. 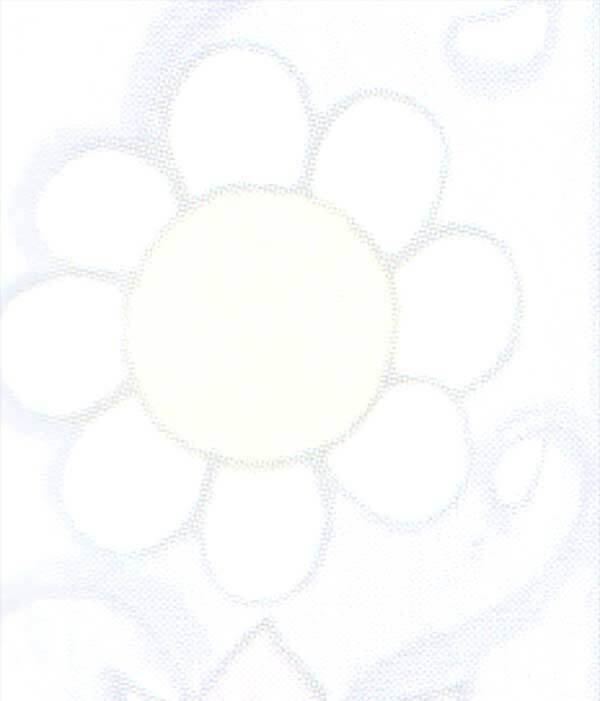 This simple children's book tries to present a hint of the dynamic message Srila Govinda Maharaj is most generously giving to us all. Srila Gurudev is always very happy to see his beautiful devotee children, and is lovingly extending his mercy to us all, as our dearest well-wisher. 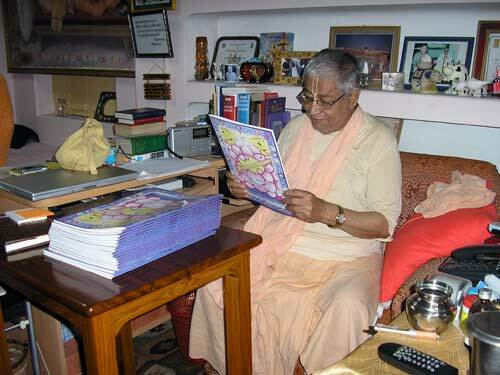 The colouring book contains seventeen beautiful illustrations, each is illuminated on the facing page by a relevant quote or excerpt from the words of our Sri Guru-varga and the Scriptures.